Is there a spot in you home décor that could be enhanced with a fresh, fragrant, lush floral arrangement? Could your clients and employees benefit from a vibrantly colored, textured arrangement in your office space, hotel or restaurant? We will meet with you at your location to learn your requirements and make suggestions for a design that will enhance your space. 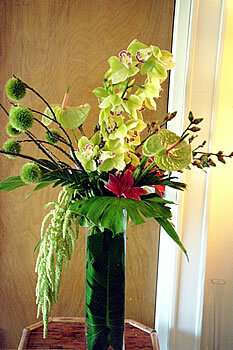 Your beautifully styled arrangements will be delivered on a regular basis on your chosen day.